A 2D and 3D jMonkeyEngine-based UI toolkit. Lemur is GUI toolkit for making user interfaces in jMonkeyEngine applications. It supports standard 2D UIs as well as fully 3D UIs. The modular design allows an application to use all or some of it as needed or even to build a completely new custom GUI library on top. "I'm sold! How do I use it?!?" Because all of Lemur's GUI elements are regular JME objects, they can be manipulated like any other scene element. This means more than just 2D planes projected in 3D space. 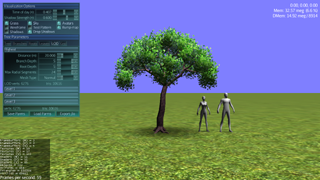 Each GUI element can be a true 3D object. Also due to the modular design, GUI behaviors like mouse/touch event support can be added directly to any existing jME Spatial. 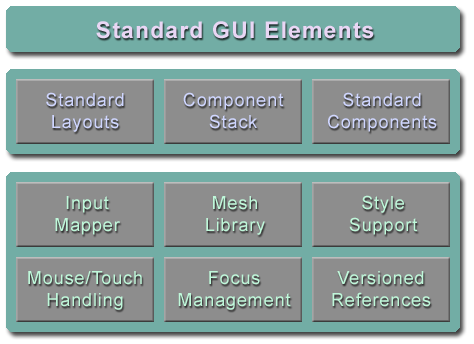 The GUI element library is based on a streamlined Swing-like design using lessons learned from over 15 years of Swing development experience. Supports a styling system similar to cascading style sheets in structure. GUI element attributes can be set through hierarchical style setup either through code or through a custom groovy-based styling language. The style module also makes it easy to setup new attributes on new custom GUI elements simply by adding an annotation. Underlying modules such as InputMapper, Styles, Touch/Mouse support, etc. can be used 100% independent of the rest of the library. From the ground up, the core modules were designed for creating custom GUI libraries. Even the built-in GUI elements are using that same customization support to provide a default GUI library. This means that even if you decide you don't like the built-in GUI elements or want to extend them in some way that they don't support well, the core modules can give you a huge jump start on writing a custom GUI. On the surface, Lemur is a UI library that works in 2D and 3D and that's what will interest most users, at least at first. Underneath that simple description, it's really a collection of modules that can be used to create GUI libraries. Each separate module can be used on its own or with its siblings to create custom user interface libraries. 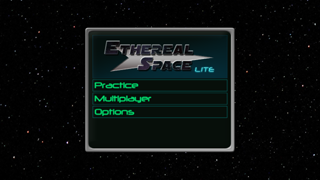 The library also includes its own first class set of of GUI elements based on those modules. This is forms a proper UI toolkit in its own right but can also serve as a basis for customization or as an example for using the support modules. All of the modules and GUI elements are setup to support fully 3D user interfaces as well as standard 2D user interfaces. 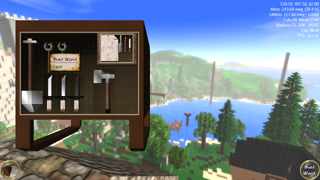 This is not simply projecting flat 'windows' into a 3D world. This means that any 3D scene graph element can potentially be a user interface element. Even the layouts are setup to manage fully 3D components. Lemur is maintained by jMonkeyEngine-Contributions. This page was generated by GitHub Pages using the Cayman theme by Jason Long.